If you're enrolled in a technical study – physics, engineering – are bright and ambitious, and thrilled by the prospect of doing research in a stimulating, very international environment, and keen on contributing to a clean energy supply for all, for ever, then Fusion may be just the thing for you. The specialization for fusion research really starts in the Master phase, although there are some universities in Europe that offer introductory courses in the Bachelor phase. 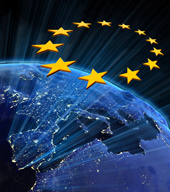 Under the umbrella of Fusenet, we have set up a European Fusion Master certificate. This is a quality label and ensures adequate orientation of the education programme to the needs of the research and development programme.